As a member of a Japanese family during your stay, you will learn the language, culture, and lifestyle in Japan. 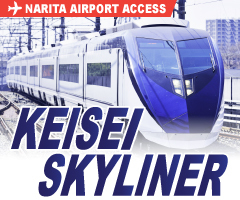 Getting to Japan is as easy as buying air tickets; getting the chance to actually meet Japanese people is much more difficult. So why not make your own home away from home in Japan? Want to improve your spoken Japanese? Want to travel Japan while homestaying? Want to try a short weekend homestay? ◆How do I homestay in Japan? Homestay is a relatively recent custom in Japan, and there are only a small number of families available. So, why we are at "Homestay in JAPAN!" able to provide you with homestay familes? ①Many families have someone planning to study abroad in the future and are willing to open their house for a homestay. ②Many other families have someone who has returned to Japan after studying abroad and are willing to take in homestay guests. 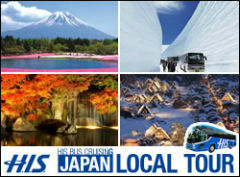 ◆Why homestay in Japan? Here are a few good reasons! ・Use it or lose it! It's a great chance to improve your Japanese language skills. ・Get to know the real Japan! 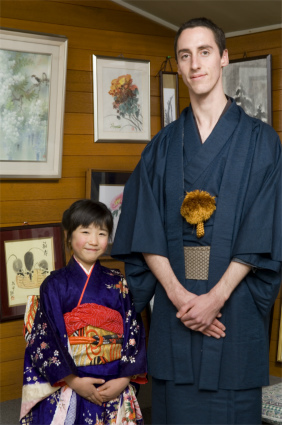 Staying in a Japanese home will give you a chance to learn about the culture and customs of this great country. ・Live the Japanese life! Life in Japan is better experienced in person. ◆What are some benefits of homestaying? ○You can use the Japanese you learn at school the same day with your host family. Practice makes perfect! ○There is so much to learn from the daily conversation with your host family that you won't learn in any textbook. ○Come across some word or phrase you don't understand? Just ask your host family! ○Listen carefully! You will have the valuable chance to hear Japanese conversation between family members. ○Everyday conversation is a great way to improve your vocabulary. ○It goes without saying that a homestay is an excellent chance to improve your listening skills! ○If you want, you can even ask your host family to teach you how to cook delicious Japanese food. Take your recipes back with you to cook for your family and friends! ○Make friendships you will treasure for life. You can keep in touch with your host family even after you leave. ・Long term study abroad programs -- We recommend 2 to 3 months at the beginning. Move to a dormitory or aparttment. ○You can homestay just about anywhere in Japan. We've been working hard! As of November 2016, we have 3,100 registered hoemstay families. Please let us know where you would ike to stay and we will do our best to accomodate you. ◆What kind of host family will I stay with? ○Many families have host mother who is in her 30s or 40s. We carefully visit, interview, and select only the host families that meet our standards. Relax! You'll be off to a good start after our comprehensive orientation covering "Daily life in Japan", "Japanese culture", and "Homestaying in Japan". If you have a question about Japanese culture, need advice or support on your homestay, or just have any concerns at all, just let us know; we'll help you out..
*If you are interested in a stay shorter than 7 days, please contact us for prices. *Members of our friendly staff will meet you at the airport. Please note you will use public transportation. We will ride with you to your homestay. *Please be aware that Program Arrangement Fees are non-refundable. *Cancellation Fees are calculated as a percentage of the Homestay Fees. ★Any questions about details and prices? Please ask one of our staffs!